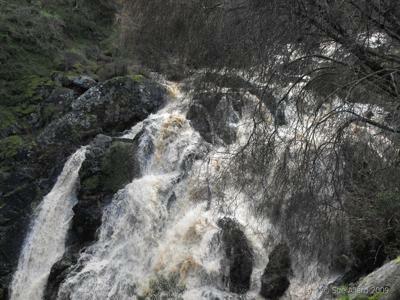 We went to Hindmarsh Falls today (13/7/09) and it was in full flow. The past couple of weeks we have had consistent rain, especially in the past 4 days which have been very heavy. The falls were raging and the power of the water was absolutely amazing to see. Highly recommend a visit as you can drive to a parking area at top of the falls lookout walk. The walk then is only about 300-500 metres, depending on if you want to go to the very end of the path. You get good views from the earlier view points. There is a lovely picnic area with tables and nice grassed area so the kids can have a bit of a run and stretch their legs. Here is a photo I took today of the falls.